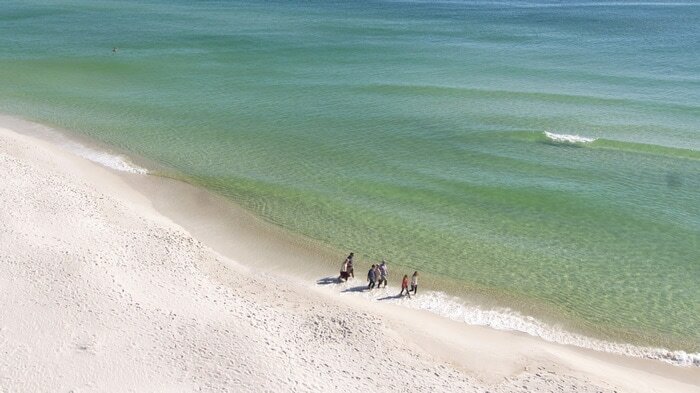 If you’re looking for a family-friendly destination, Panama City Beach is paradise. With turquoise water and sugar-white sand, it’s beautiful but it’s also the place where some of our favorite memories were made here. We can make new memories this spring. When it comes to travel, I’m always hunting for great family-friendly destinations. We travel with multiple generations so we need places where everyone will enjoy themselves. We love Florida and Panama City Beach is a great family travel destination because there really is something for everyone to enjoy! Thankfully, Panama City Beach was very fortunate when it comes to the effects of Hurricane Michael. So if you’re looking to plan a trip and need a good beach locale, check out some of our favorite reasons to visit Panama City Beach! The beach will always bring you back! It’s still the gorgeous sugar-white sand and incredible turquoise blue water that it was before the hurricane! Accommodations, restaurants, and attractions are open and ready for us to all visit this year! The great thing about visiting Panama City Beach is that there is a variety of things to do while you’re there. The beach is the first thing that I always think of but there’s so much more to the area! Panama City Beach is known as the Real. FUN. Beach. 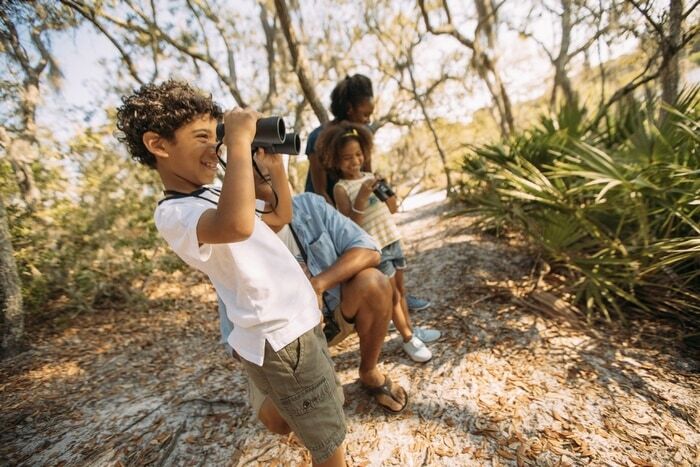 No matter what your family loves to do while on vacation when you visit Panama City Beach it’s easy to plan your vacation and make it yours! With so many options, you’ll be able to find things for every member of your family, no matter how young or old! Check out some of our favorite things to do! We live in the South and even in the fall, the weather is warm enough to enjoy the beach. So planning a beach vacation isn’t just a summer thing! 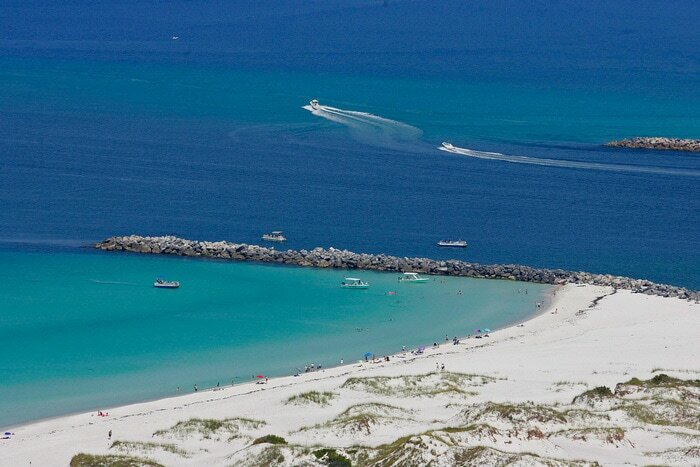 Did you know that the pure white sand of Panama City Beach is attributed to the Appalachian Mountain quartz crystals that washed down many centuries ago? If your kids are into science and history, there are some fun facts to go along with some of the most gorgeous beaches I have seen! No matter which activities you enjoy, you should definitely hit up the beach! You don’t want to miss the turquoise water and the soft, white sand beaches. If you’re in town March 22nd or March 23rd, you’ve got to check out UNwineD. It’s an award-winning event presented by Southern Living that takes place at Aaron Bessant Park. That’s just steps away from the beach! At the event you can taste craft beer, spirits, and wine from around the world. You can also sample creations from renowned chefs through Northwest Florida. This year UNwineD includes a charitable aspect for first responders and will also benefit the World Trade Kitchen! 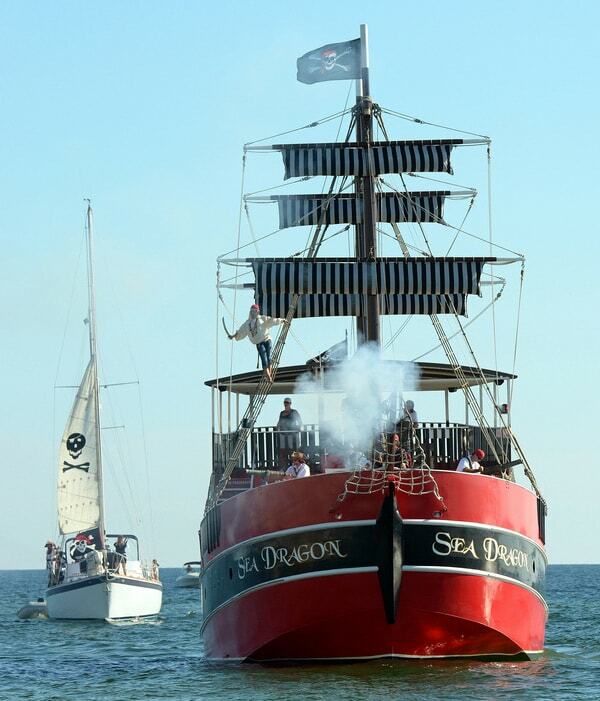 If you’re looking for more fun things to do and explore while you visit PCB, they’ve got some great festivals and events planned all year long! Mark your calendars for these! While Panama City Beach always seems to have special events going on, there are also some great places to explore no matter when you visit. The local state parks shouldn’t be missed! Also in Panama City Beach is St. Andrews State Park. It has 1,200 acres of breathtaking landscapes, wildlife, hiking trails, and water activities! 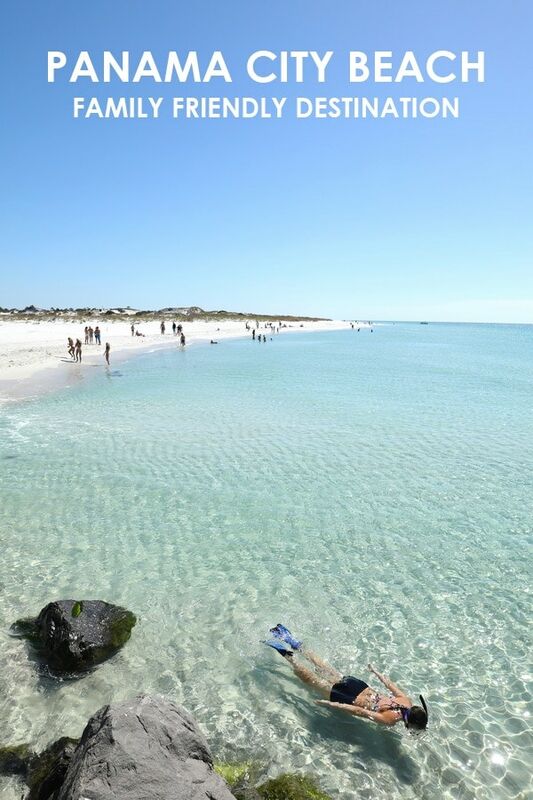 Camp Helen State Park is located west of Panama City Beach and was recognized as a Historical Site in 2012! There’s another fun fact for the history fans in your family! It’s known for incredible bird watching opportunities and some of the best fishing in the state! SEAFOOD AND MORE I mentioned food a little bit already, but it deserves a little bit more attention! Panama City Beach is known as the Seafood Capital of the South. It’s located on the Gulf of Mexico so the restaurants can offer some of the freshest and most delicious seafood! Many of the restaurants are right on the water too. That means great food and great views! Sounds like a great vacation to me! If your family is like my family, you might have some picky eaters in the mix. The great thing about Panama City Beach is that it goes beyond just being the Seafood Capital of the South! It’s also a great little southern city so you can find everything from barbecue and American food to Cajun cuisine and Caribbean jerk. There’s really something for everyone! 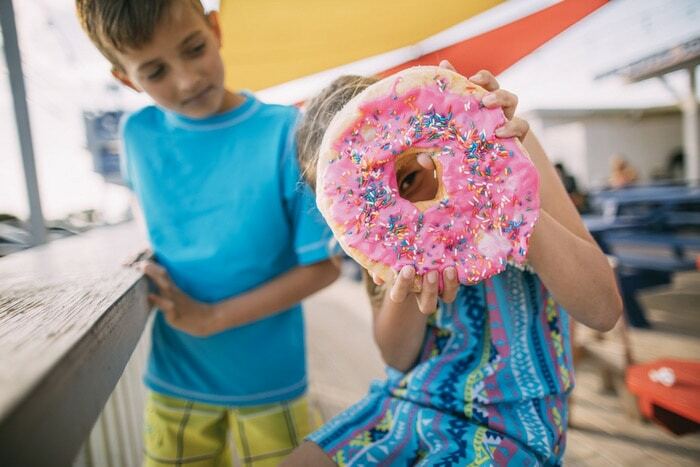 No one will go hungry if you visit Panama City Beach, I promise! The sun is shining, the waves are calling and there has never been a better time to get back to the beach! The PCB community can’t wait to welcome you. Start planning your getaway today. You can plan your fun today and visit the Real. FUN. Beach.